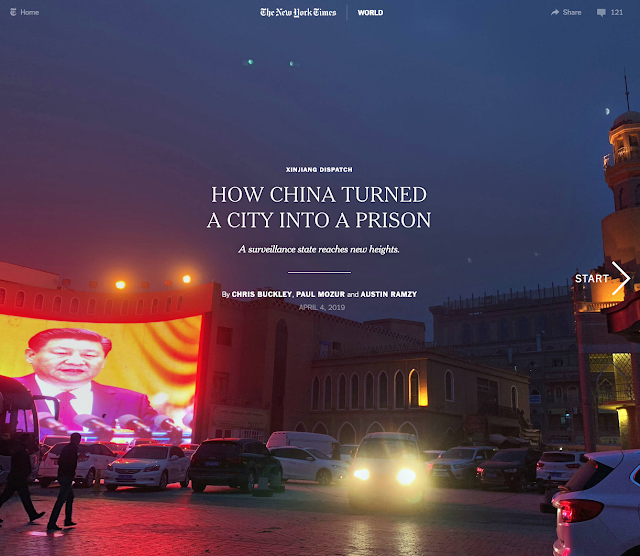 AlgorithmicGovernance, a BRT blurb connecting to yet another NYTimes piece dealing with surveillance 24/7 shows how 1984 meets digital in ways Orwell would understand without question. With Orwell in mind, the blowback on people under this kind of oppressive tech eerily resembles 1984 in ways all too familiar to anyone who has read his masterpiece after it was published in 1949. Neighbors become informants, Children are interrogated, Mosques are monitored. 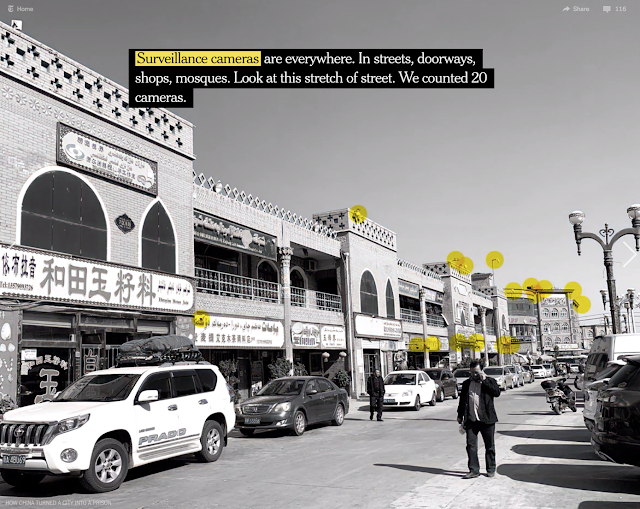 The police sometimes take Uighurs's phones and check to make sure they have installed compulsory software that monitors calls and messages. But she remembers the searches: "They don't care if it's morning or night, they would come in every time they want." Surveillance cameras are everywhere. In streets, doorways, shops, mosques.